I have known Dennis Mattish for over 30 years. 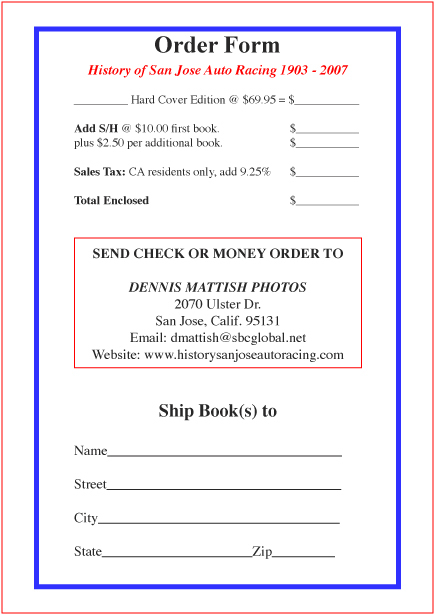 He graciously provided me photos for the Golden State Racing News for eight years as well as photos for two San Jose Fairgrounds Speedway yearbooks. 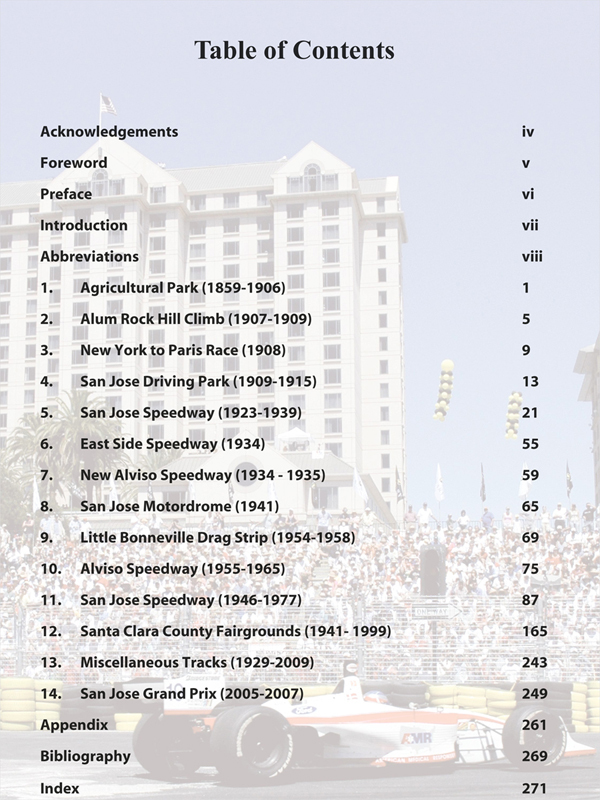 He has a true heart for preserving the history of all motorsports but especially the history of racing around the San Jose area. Manny of the photos you will see here were reproduced by Dennis from the Bob Mize collection. 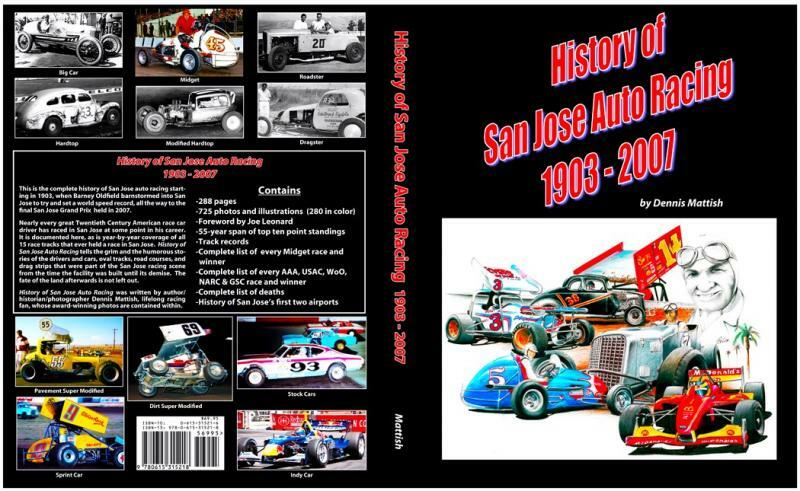 Dennis has written an extrodinary book called The History Of San Jose Auto Racing. Please check it out. I know you will be please. Thanks Dennis for your many years of friendship !